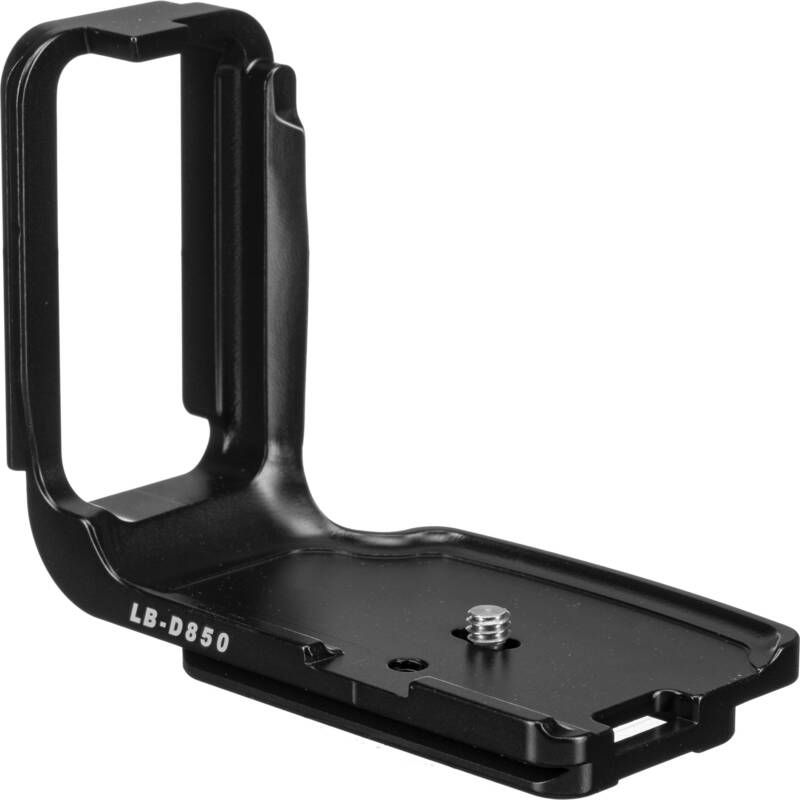 The aluminum-constructed, one-piece LB-850 L-Plate for Nikon D850 Body from Photo Clam offers a 2-axis mount, which is a vertical and horizontal orientation. The L-plate maintains access to the camera's ports and memory card and without blocking the tilting LCD screen. The camera mounts to the plate via its 1/4"-20 mounting thread, and the anti-twist flanges prevent the camera from moving while mounted to the plate. Additionally, a built-in strap loop located on the side of the bottom plate so you can attach a wrist or neck strap. Box Dimensions (LxWxH) 5.3 x 3.4 x 2.3"